It’s better to know the truth. At least sometimes.Halfway through Friday night’s football game, beautiful cheerleader Brittany Montague—dressed as the giant Winship Wildcat mascot—hurls herself off a bridge into Atlanta’s surging Chattahoochee River.Just like that, she’s gone.Eight days later, Benny Flax and Virginia Leeds will be the only ones who know why. 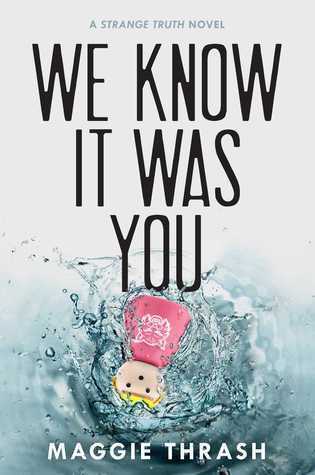 I can assure you that you've probably never read anything quite like We Know it Was You and probably never will come across anything like it again. It is unique in every sense of the world. It's warped, it's dark and it funny. And a good dark comedy and totally my jam! I thoroughly enjoyed every minute while reading this book. It is a deliciously entertaining tale that will keep your spine tingling every nail-biting moment! The book starts off with a bang, getting right to it and the pace just quickens from there! Firstly, let's talk about Virginia. I loved her. She was just one badass character! Her energy radiated off of the pages and I just couldn't help but fall in love with her! Benny was a great character as well. Not your usual swoon-worthy male character. He has a love for mysteries and seems to be very straight to the punch! Virgina and Benny played very well off of each other. The balanced each other out and I loved their chemistry together.